Serve this delicious fresh chutney with curries, roast meats, fish, samosas, or in sandwiches and wraps. Or simply as a dip with fresh crusty bread. There’s no end to its uses. 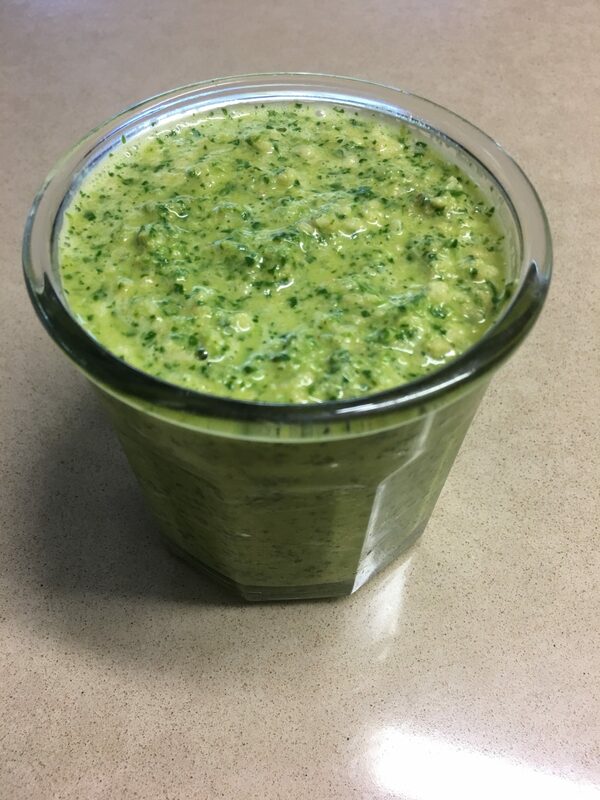 Place all ingredients in food processor and process till it looks like pesto. Scrape down the sides, add a little water if necessary, then briefly process again. Keeps in the fridge for several days. 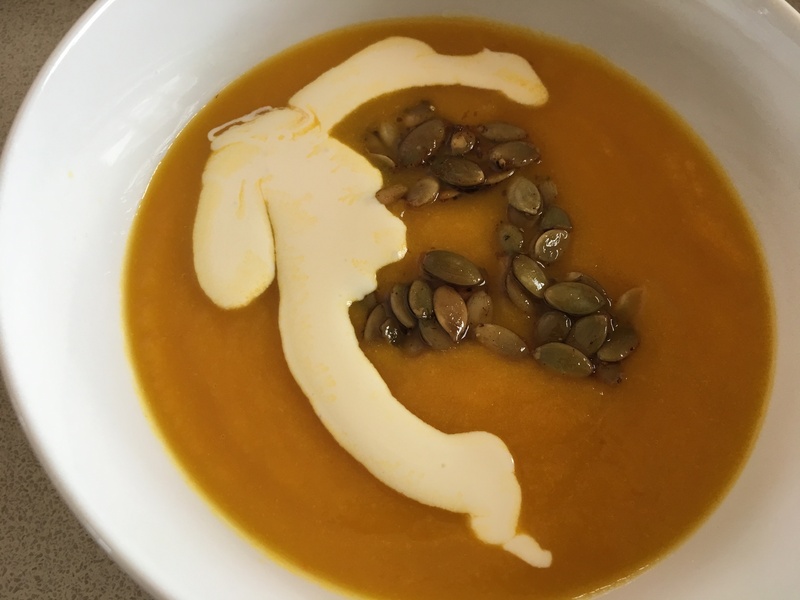 Maggie and Richard served this delicious chilled soup when we were staying them last year in St Germain en Laye, on the outskirts of Paris. 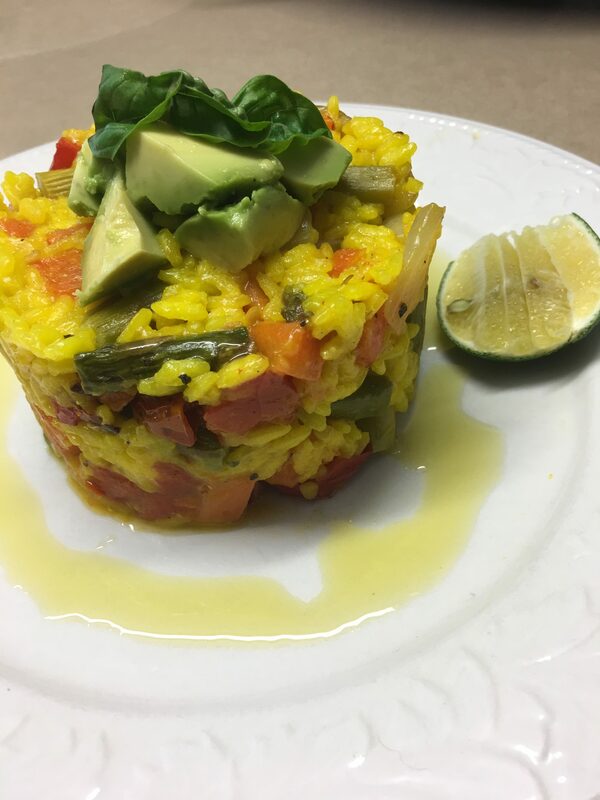 Richard, who was chef that day, said the recipe came from Honey & Co. As per the recipe he garnished the soup with roasted yellow beetroot, diced and mixed with a crushed clove of garlic, chopped fresh oregano and a splash each of lemon juice and olive oil. This made a spectacular contrast. 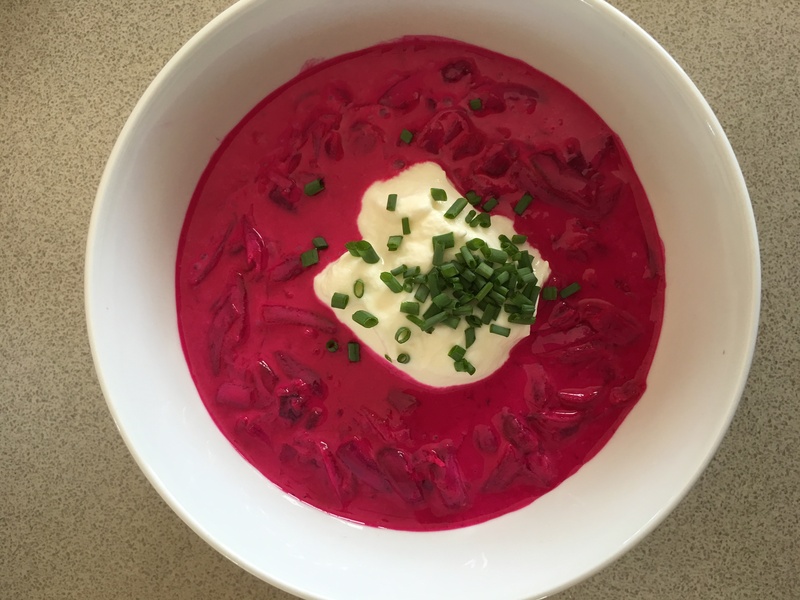 Unfortunately I didn’t have any yellow beetroot, so just used yoghurt and some chives as a garnish. 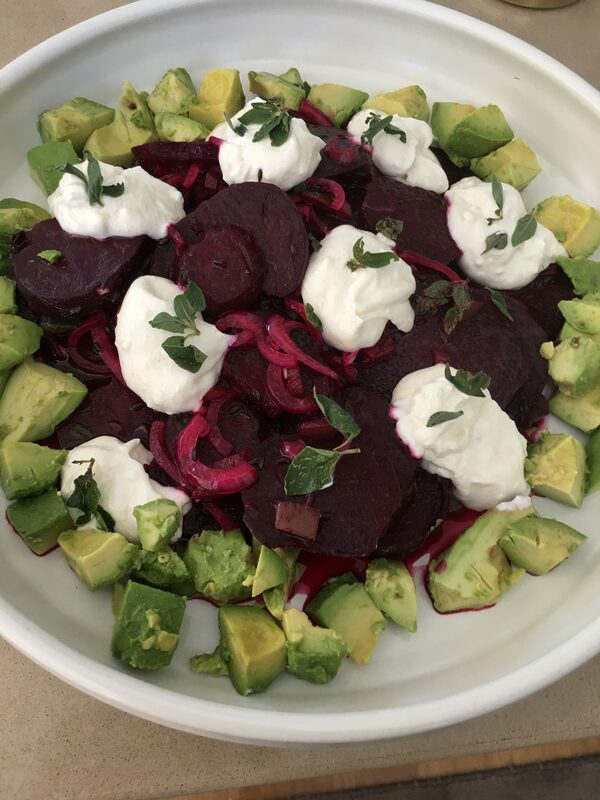 The original recipe says to roast the beetroots on a bed of salt, but as you’re going to peel them I decided this wasn’t going to make a huge difference to the end result. I just sprinkled them generously with salt before roasting. This soup goes down a treat at a relaxed weekend lunch in late summer. Preheat the oven to 200°C. Wash beetroot, but leave whole and unpeeled. 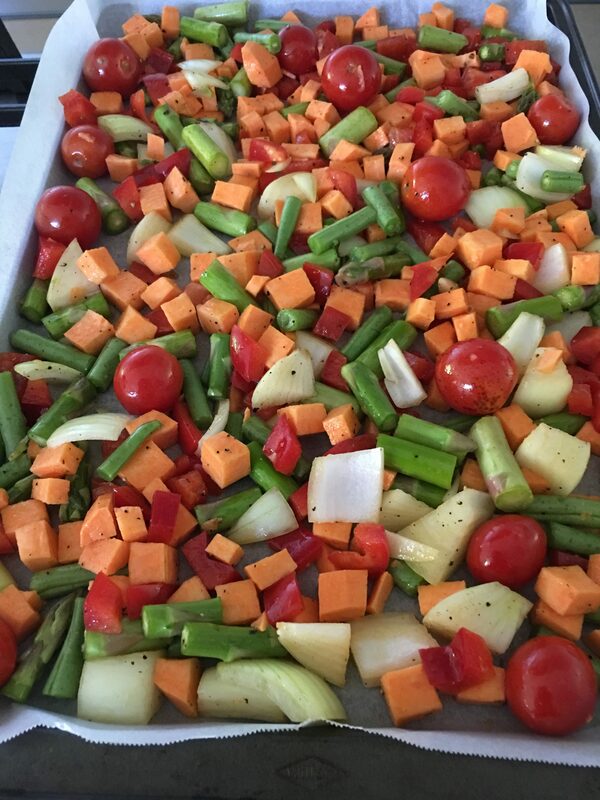 Place on a baking tray lined with foil and sprinkle with salt. Bake for an hour or until tender. When cool enough to handle peel the beetroot. Grate very coarsely – a Magimix with a coarse grating blade makes short work of this. 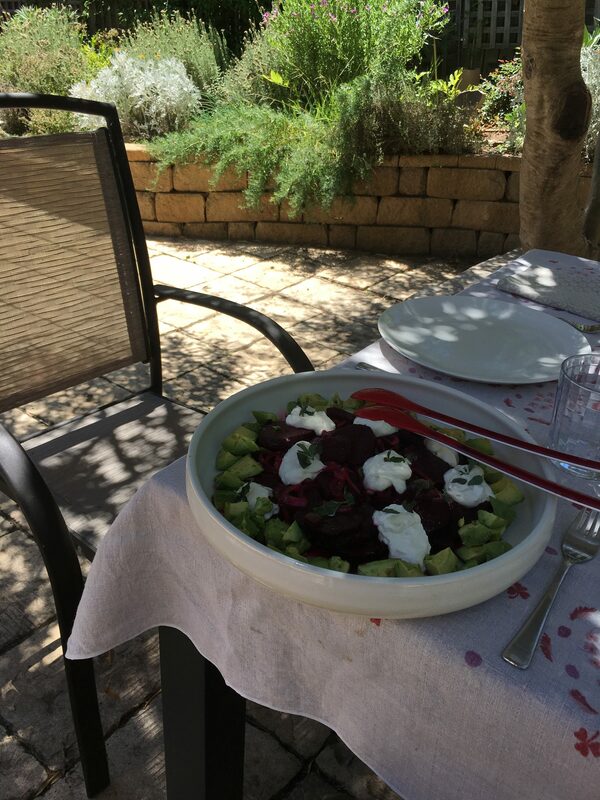 Mix beetroot with remaining ingredients then chill until serving time. Add one cup of water first and see if it needs more. Serve garnished with a dollop of yoghurt and the yellow beetroot, if available. Last week we flew to Queenstown with Air New Zealand for a wedding. We flew Economy class, but fortunately Gold points status with Star Alliance gave me access to the business class lounge. I was also able to take a guest, which was just as well as Matthew only has Silver status. The lunch buffet at Queenstown airport when we were flying home included a selection of salads which we enjoyed with a glass of Esk Valley Estate chardonnay. Afterwards we had cheese and biscuits, accompanied by a delicious Pear and Fig Chutney, made by a New Zealand company called Barkers. On return decided to have a go at making this chutney, while the memory was still fresh in my mind. Today’s recipe is an adaptation of one I found online. It has the addition of walnuts, which aren’t in Barker’s version. They give it a nice crunch, but leave them out if you prefer. Removing the seeds from the cardamom pods was a fiddly job, so if preferred add a different spice such as a teaspoon of chilli powder, cayenne pepper or ground cumin. 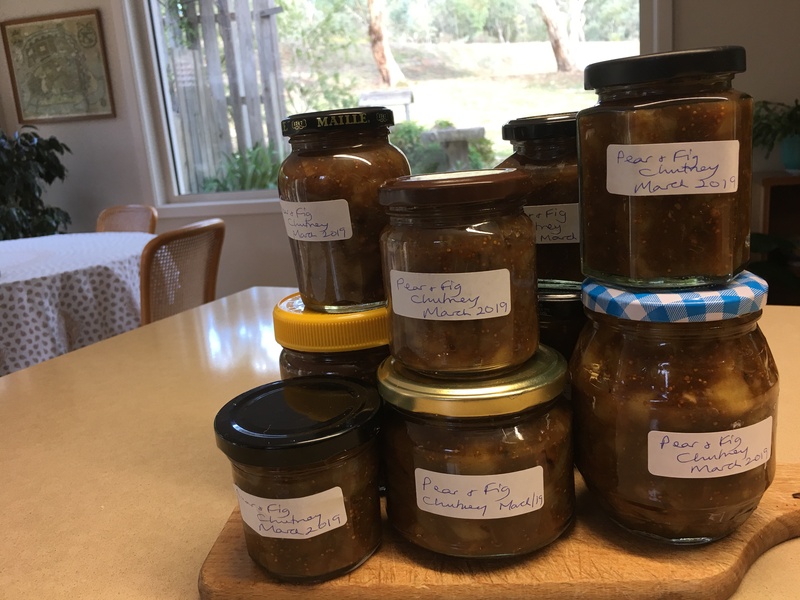 Most chutney recipes call for fruit, onions, brown sugar and vinegar, but they all vary and are very adaptable when it comes to the spices. Add whatever takes your fancy. I’ve been on flights where you have to pay for any drinks or food. And I’ve been on flights where they give everyone a meal. This was somewhere in between. When it came to lunch time we were all prepared to say “No thank you” as the flight attendant handed us a tray. Much to our surprise she looked at our seat number, glanced at her clipboard, gave a tray to the guy sitting next to us on the aisle and headed off. Clearly we’d bought the Absolutely No Frills tickets and he hadn’t. Place all ingredients except the walnuts in a preserving pan or very large heavy-bottomed pan. Bring to the boil then simmer for about an hour or until thick. 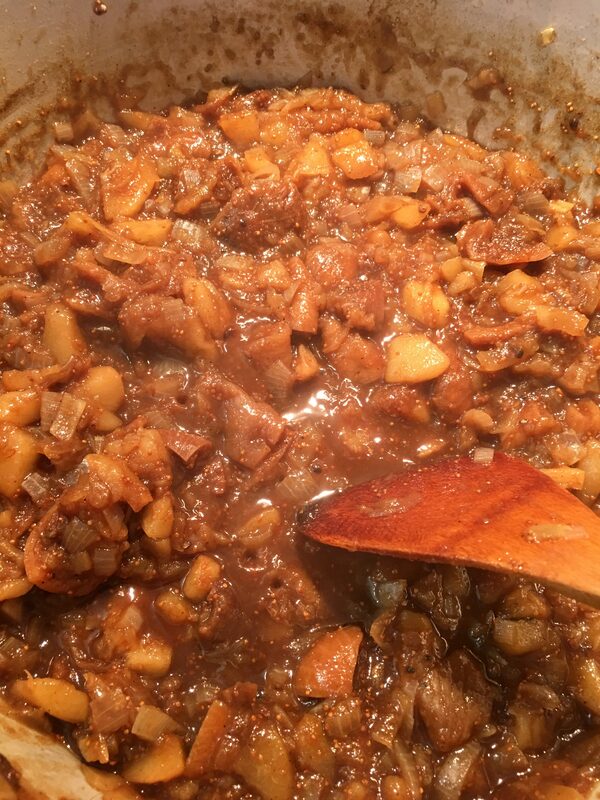 If it gets too thick before the apples and onions are cooked, add a little water. 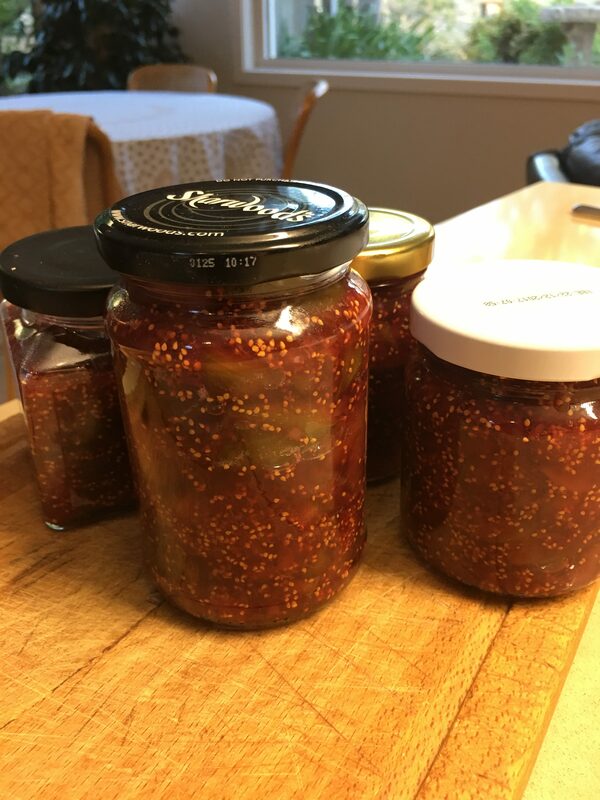 Place 8 clean normal sized jam jars or more smaller ones in the microwave, without their lids and zap on High for 2 minutes. Lightly toast the walnuts by stirring them for a few minutes in a non-stick frying pan over moderate heat. When the chutney is ready stir in the walnuts and tip into the hot jars. Use a wide funnel or a small jug. Go all round the edge of each jar with the blade of a knife, hitting the bottom, to remove any air bubbles. Seal, label and store in a dark cupboard. Refrigerate after opening. Note: if available use Bramley apples which are common in the UK but hard to find in Australia unless you grow your own. 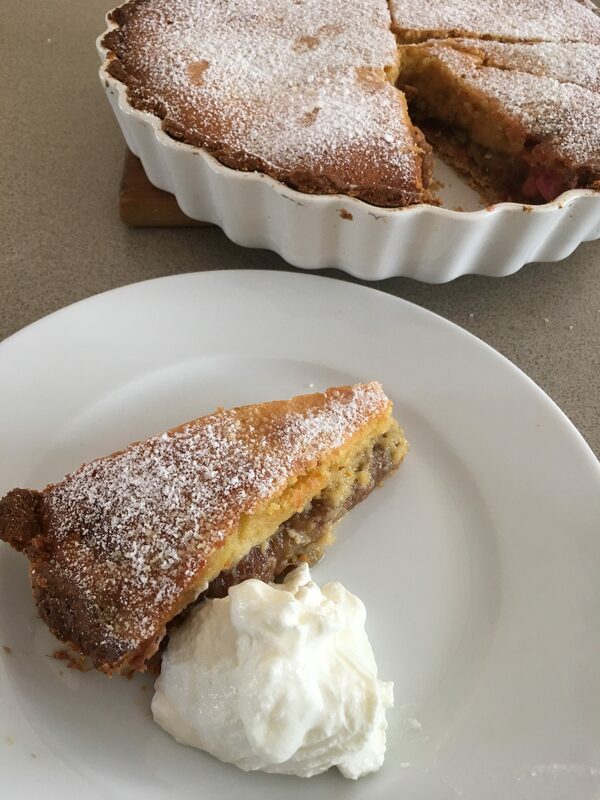 Rhubarb grows like a weed at our farm so I’m always looking for new ways to cook it and I give away what we can’t eat. This recipe can be adapted to use other fruit and is perfect to serve with a cuppa or as a dessert. I used wholemeal flour in the pastry, because I had some which needed using. Anything that hangs around in our pantry for too long is an attractive target for pantry moths. They especially love flour, nuts and, as I discovered recently, dried chillies! Go to the link for the pastry. Bake the pastry case as instructed, with foil and something heavy like dried beans or corn, to stop it rising. Remove foil and beans and bake for a further 15 minutes, or until golden brown. Leave the oven on 180°C. Meanwhile, cook rhubarb in a saucepan with the raw sugar for 10 minutes, or until tender but mostly still whole. Stir often so it doesn’t stick or burn. Cool then spread into the pastry case. If you used a food processor to make the pastry there’s no need to wash it out before you make the filling. Place butter, sugar, vanilla, orange rind, eggs and almond meal in food processor and process until smooth, stopping halfway to scrape down the sides. Spread evenly over the rhubarb. Bake for 40 mins or until well-risen, golden brown and firm to the touch. Dust with icing sugar and serve warm or cold with ice cream, whipped cream or Greek yoghurt. Variations: use ground walnuts or pine nuts instead of the almond meal. Use cooked apples or pears, tinned pears or peaches, or a punnet of berries mixed with a cup of jam instead of the cooked rhubarb. You could also use frozen berries. 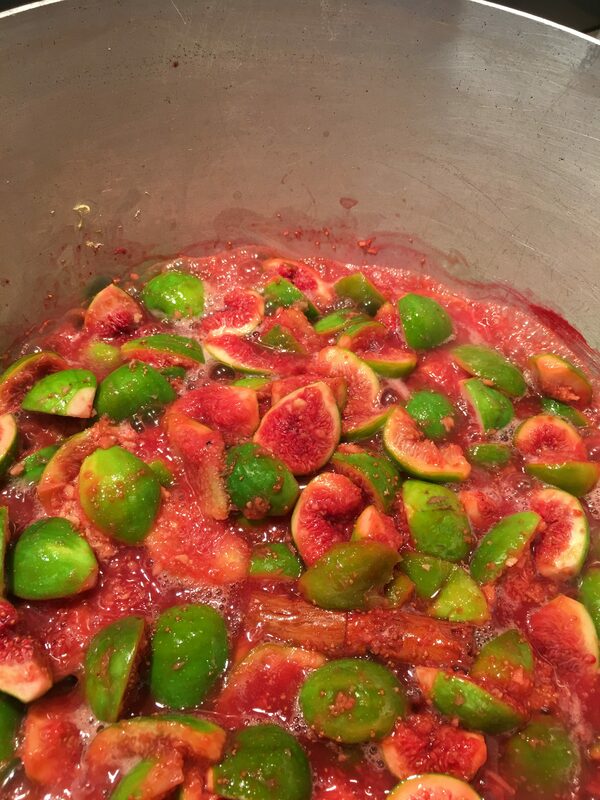 While figs are in season, don’t forget to make some jam. We like ours with the addition of fresh ginger, but if preferred leave it out. 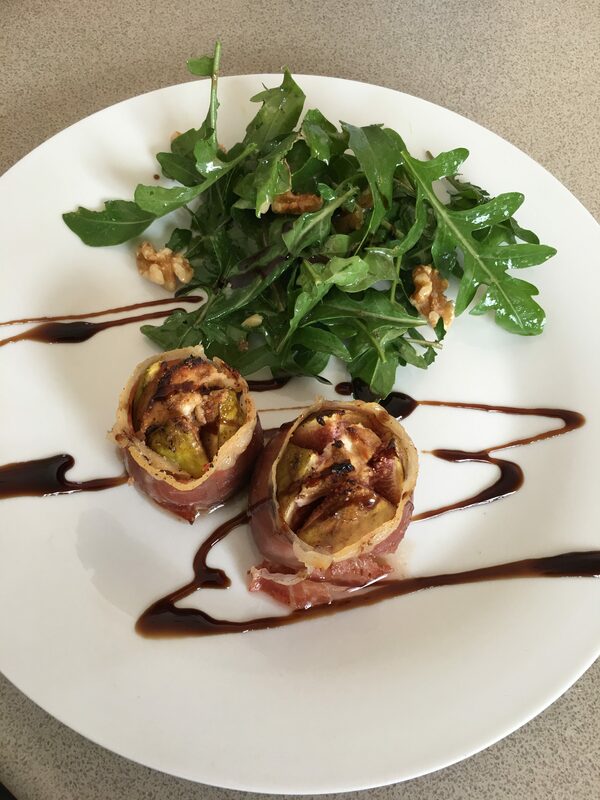 You can use green figs or purple figs. This jam is delicious on crusty bread or toast, or dolloped on plain Greek yoghurt. It also goes well on canapes with a chunk of creamy blue cheese, or as an addition to a cheese board. Chop figs into quarters or eighths, discarding the stems. Place in a preserving pan or heavy-bottomed large saucepan. Add the lemon juice and rind, the ginger, water and cinnamon stick. Cook gently for 20 minutes or until figs are tender Add the sugar, boil until setting point has been reached, remove cinnamon then tip into hot sterilized jars. Seal while hot and store in a dark cupboard.